Peugeot Part No. Speedfight 3. LIGHT FOR PEUGEOT. New Genuine Peugeot Spare Parts. For best performance & reliability use Peugeot Genuine Spare Parts. Item : Rear light. If a part does not match or there is another reason for complaint. New and used parts. Large range of products at super prices. Specializing in models. Storage location Therefore, each part by my hand is gone. PEUGEOT SPEEDFIGHT 2 (50 & 100cc). IN ORIGINAL RED. TOP QUALITY PRODUCT. (we cannot change it afterwards). TO UK MAINLAND. WITH WIRING HARNESS LOOM. PEUGEOT SUM-UP 125 2008. REAR BRAKE LIGHT ASSEMBLY. Cash On Collection: No Problem! USED GOOD SOLID CONDITION. 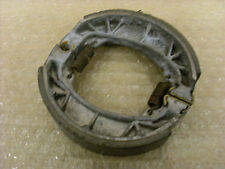 PEUGEOT SPEEDFIGHT 2 50cc REAR BRAKE SHOES. If an item is not as described we will of course accept it back. 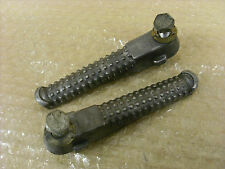 PEUGEOT SPEEDFIGHT 2 50cc PAIR OF REAR FOOTRESTS. If an item is not as described we will of course accept it back. All our parts are genuine! 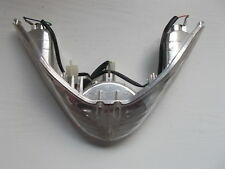 Part Number: 09006CRT.and don't forget drive safely! We will always respond! PEUGEOT ELYSEO 125 4T. Peugeot Elyseo 50. Peugeot 100 Elyseo. Peugeot Elyseo 50 100 125 4Takter. Model: Elyseo 125 4 stroke. PEUGEOT 50 / 100 / 125. PEUGEOT SV 50 / HERCULES SAMBA. Peugeot Elystar TSDI 50. Peugeot Part No. Vivacity 2. LIGHT FOR PEUGEOT. New Genuine Peugeot Spare Parts. For best performance & reliability use Peugeot Genuine Spare Parts. Item : Rear light complete. Peugeot Speedfight 2 tail light. Marke Peugeot. Money back. 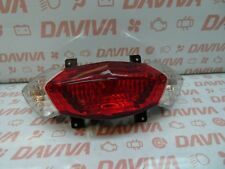 PEUGEOT TWEET 125 2016-2018 REAR BRAKE LIGHT INDICATORS & WIRING LOOM I N GOOD USED CONDITION. ALL PARTS ARE QUALITY USED SECOND HAND SPARES. PEUGEOT SPEEDFIGHT 2 50 2002. PEUGEOT VOX 110 2014. REAR BRAKE SWITCH IN GOOD WORKING ORDER. PEUGEOT SPEEDFIGHT 2 50 2002. RIGHT REAR INDICATOR. Peugeot Speedfight 2 100. so that we can have the item(s) ready for you. Peugeot Speedfight. Shocker is in good working order, mounts intact, marks and scratches throughout. ITEM YOU ARE BUYING Rear shock. GENERAL INFORMATION. so that we can have the item(s) ready for you. Peugeot Vivacity 125. NGK Spark Plugs. Left Rear Light. EBC Brake Shoes. HiFlo Air Filters. USED PARTS. 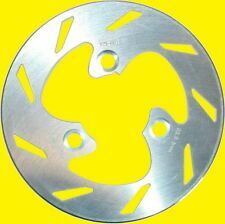 EBC Clutch Plates. Rim Tapes / Tubes. Peugeot Vivacity 125. NGK Spark Plugs. Right Rear Light. In good usable condition. EBC Brake Shoes. HiFlo Air Filters. USED PARTS. EBC Clutch Plates. Engine code (located at point P5 of the booklet). Item As Pe Title. In good usable condition. USED PARTS. Honda Parts. Honda Parts. USED PARTS. In good usable condition. THIS FITS LOADS OF MAKES AND MODELS INCLUDING SPEEDFIGHT, GILERA, ITALJET AND MANY MORE. THE SIZE ON THE TYRE IS 140/70 x 12. THIS IS A GODD QUALITY TYRE THAT WE PUT ON OUR OWN SCOOTERS. < --ASW--> < --version 1.0-->. If more parts needed ring hot line. If more parts needed ring hot line. IT'S NOT!! HIGHLANDS, IRELAND, ISLE OF WIGHT ETC.